Patti Austin has received a Grammy nomination for her live big-band project Avant-Gerswhin, which celebrates the music of the revered American songwriter George Gershwin. Other jazz nominees include Dave Koz, Jeff Lorber, Brian Bromberg, Kirk Whalum, Spyro Gyra, Herbie Hancock, Chris Botti, Randy Crawford & Joe Sample, Michael Buble, and the late Michael Brecker. Dave Koz received nomination in two categories. He received a nomination for best pop instrumental album and the track “Over The Rainbow” from his album At The Movies and earning a best pop instrumental nomination. Kirk Whalum and Spyro Gyra also compete in the best pop instrumental album category against Dave Koz with Roundtrip and Good To Go-Go, respectively. The category also includes a nomination for trumpeter Chris Botti's Italia. Spyro Gyra is also a double nominee, going against Koz again in the best instrumental performance category with the track "Simple Pleasures." Randy Crawford & Joe Sample, who reunited and released So Good this year, received a nomination in the traditional R&B vocal performance race with their track "All Night Long." Singer Michael Buble's Call Me Irresponsible received a nomination in the traditional pop vocal category against Barbra Streisand, James Taylor, Bette Midler, and Queen Latifah's Trav'lin' Light. Marvin Gaye's 1978 album "Here, My Dear," will be reissued in expanded form Jan. 15 via Hip-OSelect.com/Motown. Disc one of the project includes a remastered version of the original album plus a new mix of "Ain't It Funny (How Things Turn Around)" by Bootsy Collins. The second disc offers a resequencing of "Here, My Dear" comprised of Gaye's demo vocals and unused instrumental tracks from the period. Contributors on the album include Mocean Worker, Easy Mo Bee, Leon Ware and Salaam Remi. Gloria Gaynor appears at the Carnival Center For The Performing Art at the Ziff Ballet Opera House in Miami on March 22, 2008. Veteran R&B artist Keith Sweat will release his first album in over five years, Just Me, March 18 as the first in a new deal with Rhino's Atco label. The first single is Suga Suga Suga. Lalah Hathaway will be featured on Marcus, the forthcoming CD by Grammy-winning Marcus Miller. It will be released in the U.S. this February. The project had been previously released in the U.K. and Japan under the title Free. Hathaway is already working on her next CD, which is tentatively titled Self Portrait for a spring 2008 release on the Stax label. Keyboardist and producer George Duke has signed a recording and distribution agreement with Heads Up International for his next CD release, due sometime in the fall of 2008. The Wailers will perform the following concerts: December 30 at Fillmore in Denver CO, and December 31 at The Klein in Bridgeport CT.
Billy Joel is currently on the road and will perform the following concerts during 2008: February 26 at ARCO Arena in Sacramento CA, February 28 at Pepsi Center in Denver CO, and March 2 at Bradley Center in Milwaukee WI. Kenny G’s debut CD for Concord, Rhythm And Romance, is scheduled for release in February. February 28 @ International Arts Festival, Hong Kong China. Legendary songwriting and production team Kenneth Gamble & Leon Huff, widely renowned as the architects of the classic Philly soul sound, will be inducted into the 2008 Rock and Roll Hall of Fame with a presentation of the highly prestigious "Ahmet Ertegun Award." The Grammy-winning, multi-platinum selling duo are responsible for one of the most recognizable and influential catalogs of pop and soul music ever recorded: 70 #1 Pop and R&B singles, 175 RIAA Gold, Platinum and multi- platinum certifications, five Grammys including the Recording Academy's Trustees Award and more than 3,500 songs produced to date. The Gamble & Huff signature sound is internationally recognized as "The Sound of Philadelphia" with a Gamble & Huff song being played somewhere in the world every 13.5 minutes. Comments Gamble & Huff: "We are extremely happy and appreciative of this honor. We have always wanted to be in the Rock and Roll Hall of Fame and wholeheartedly thank the foundation for this prestigious induction. We are especially excited about being the first inductees under the newly named Ahmet Ertegun Award. Moreover, the timing couldn't be better as we celebrate a 45-year creative vision that has impacted people and music all over the world including the music of Rock and Roll." Jay-Z, 50 Cent, Daft Punk, Michael Buble, Mary J. Blige, Usher, Jennifer Lopez, Outkast and Bette Midler are just a few of the top artists who have sampled or covered the Gamble & Huff song catalog. Gamble & Huff's instantly recognizable tunes and influential lyrics are a favorite among advertising agencies, music production houses, commercials, motion pictures and television sitcoms. They also have one of the most sought after sought-after pop and soul catalogs in the world. Their Philadelphia International Records label built a solid stable of talent including Patti LaBelle, The O'Jays, Teddy Pendergrass, Lou Rawls, Harold Melvin & The Blue Notes, Archie Bell and the Drells, Billy Paul and the Three Degrees to name a few. PIR recordings reached the top of the charts from day one, at one point selling more than 10 million records in a nine- month period with hits such as Billy Paul's "Me & Mrs. Jones," a Grammy winning #1 Pop and R&B hit; Harold Melvin & The Blue Notes' "If You Don't Know Me By Now," a popular track also covered by UK group Simply Red; The O'Jay's "Love Train" and "Backstabbers" among others. An historic new agreement was announced last August in which the complete Philadelphia International Catalog of music has been licensed by Sony BMG Music Entertainment to be released through its Commercial Music Group and Legacy Recordings. Van Morrison and Exile Productions in association with Polydor/UMe are pleased to announce the worldwide release of Van Morrison's back catalog beginning in January 2008. This worldwide exclusive reissue program covers 29 albums from 1971's "Tupelo Honey" through 2002's "Down The Road," and also includes the 1997 2-CD collection "The Story of Them." All of the albums have been remastered and each will include bonus material, none of which has been previously available. Additionally, each album will feature its original artwork and include complete lyrics to Morrison's compositions. The first series of 6 albums will be released on January 29, 2008, followed by three additional release dates with the remaining titles. The first set in January includes:"Tupelo Honey" "It's Too Late To Stop Now" "Wavelength" "A Sense Of Wonder" "Avalon Sunset""Back On Top" The bonus recordings are of particular interest since this is the first time Morrison has authorized any unreleased material since "The Philosopher's Stone" in 1998. Each album will include exclusive, unreleased recordings from their respective time period -- giving a unique insight into some of his most revered songs. "Tupelo Honey," 1971 -- "Wild Night" (alternative take) and a reworking of the traditional "Down By The Riverside"
"It's Too Late To Stop Now," 1974 -- a live take on "Brown Eyed Girl"
Here’s a great new release from Ayo, whose name translates to "joy" inYoruba, is the daughter of a Nigerian father and a gypsy Romanian mother.Raised in Germany, Ayo's rich cultural background inspired her to listen toher father's diverse collection of Donnie Hathaway, Jimmy Cliff, Fela Kutiand Pink Floyd. On Joyful, she strives to naturally and sincerely share herstories and touch others, boosted solely by her life experience and dreams. "Down On My Knees" rests upon a cool reggae rhythm, a simple folk melodyand elegant production with a voice that is 100% soul singing, crying outits love, nothing more. "If people interpret something else, hidden betweenthe lines, by all means, they're free to do so," Ayo insinuates. Laced withHispanic undertones and a hint of Caribbean spice, "And It's Supposed To BeLove" is Ayo's only cover taken from the repertoire of jazz singer AbbeyLincoln. Straightaway, "Help Is Coming" has a rhythmic style with elementsof rock and reggae, belying its emotional nature as a ballad. For fans ofany type of music, it is an immense joy to hear Ayo, but it is an absolutedelight for followers of Corinne Bailey Rae, India.Arie, and Angie Stone. Racquel Roberts is a female vocalist with a technique acquired through years of practice at the top level of musical theatre on Broadway and international stages. All of that experience reaches its fruition on her latest release The Secret of Christmas. On The Secret of Christmas, Racquel took traditional holiday arrangements and transformed them by composing her own bright and spirited musical interpretations with the help of Los Angeles jazz composer Nick Mancini. Racquel has been singing since her older sister introduced her to music as a child. While in college at UC Irvine in 1999, she auditioned for the Broadway musical Rent which led to several years performing on stage around the world with Rent, Hairspray, and The Lion King. Throughout those great experiences, Racquel has learned more than she could have ever imagined about the business and along the way, it has established her as a legitimate voice in the independent music business and on stage. The Secret of Christmas takes what you would expect from a holiday album and turns it upside down, in a refreshing and pleasing way. Holiday music lifts the spirit and everyone has his or her yearly favorites however, how many Christmas albums that are in your collection could you play all year and enjoy? Few recordings have that kind of versatility and appeal. The Secret of Christmas draws from the foundations of jazz and dips into the well of the blues, rhythm and blues, funk, and pop. Racquel Roberts is true to her heart and turns out an outstanding overall recording, that will touch your soul, enliven your spirit and renew your faith in humankind, and most importantly will make you move to the beat and inspire you to dance. The originality and feeling of these recordings touches upon the true meaning of Christmas and you realize that the secret to unlocking what it all means is inside you. Great music and words can help to bring the truth to light. Chris Standring has just finished work on his brand new album entitle “Love & Paragraphs.” It’s scheduled for release in January. Chris is releasing this on his own record label - Ultimate Vibe Recordings. He’s contracted for a joint venture with The Artizen Music Group (Rick Braun & Richard' Elliot’s label) which enables him to have national distribution through Ryko. Speaking of Rick Braun and Richard Elliot, Chris Standring has co-written a song with them called "R n R", the first single from their new album of the same name. The song is a huge hit on the smooth jazz radio and was recently charted at number one for the eighth week running. 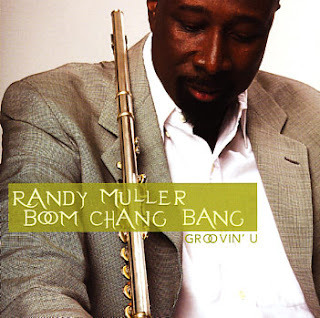 The Groove Boutique has been featuring tracks from Randy Muller Boom Chang Bang’s Groovin’ U CD. Here’s what dustygroove.com has to say about Randy Muller: “…an artist we know from his great work with larger horns in ‘70’s soul, but who steps out nicely here on his own! The album focuses on Randy’s own work on funky flute, and features some really great grooves with a sweetly jazzy style! Given Muller’s pedigree in classic club, the rhythms here are a lot better than you’d hear on similar albums of this nature, never too smooth, nor too polished, always nicely chunky, and often a but funky – a perfect setting for Randy sweetly gliding solos on flute! Most titles are instrumental, but there were a bit of vocals on the record too – and titles include “Magic”, “Call Me”, ‘Always And Forever”, “Westchester Nights”, ‘Devotion”, “Hello”, “Bala”, and “Easy Luv”. Here’s a brand new release from the crooner who has continued to tour and record since he first came onto the scene five decades ago. His newest CD, I Don’t Remember Ever Growing Up features 12 new recording including “The Shadow of Your Smile” (with Chris Botti), “Desperado”, “She’s The One”, “One Sweet Day”, and more. 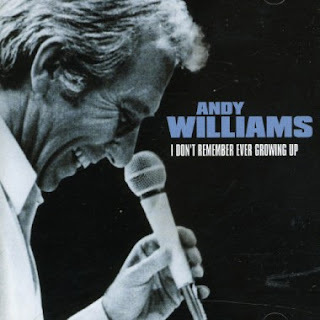 Very few artists could claim to have had hits spanning several decades, but Andy Williams has managed to remain consistently popular with music fans of all ages due to his silky smooth vocals and smooth jazz grooves. He currently appears on a regular basis at his own theatre in Branson, Missouri. The new CD is a collection of the world’s greatest songs. On the set, Andy pays tribute to some of the most memorable songs ever, including She's The One (Robbie Williams), One Sweet Day (Mariah Carey), Lady In Red (Chris De Burgh), Desperado (The Eagles), and Breaking Up Is Hard To Do (Neil Sedaka). The album also includes a duet with Chris Botti, one of the leading trumpeters in the world with their take on Sinatra's beautiful The Shadow Of Your Smile. Recorded in 2006 over a period of 8 months, the album was recorded at Capitol Studios in Hollywood, Bratislava in Slovakia, as well as at Andy's Moon River theatre in Branson, Missouri. Williams, who turns 80 this year, possesses one of the most distinct and memorable voices of the entire pop era. This new collection is a must-have for all fans of Andy, as well as all lovers of the musical art of romance. This acclaimed harpist strikes a perfect balance between Latin rhythms and the classic music of Christmas. Seasonal favorites include "Winter Wonderland," incongruously but effectively dressed up in a merengue rhythm, and "The Christmas Song," a hot salsafied version which shows Perera's total affinity with the energy and harmony of the Caribbean. Other selections are regional standards little known and heard outside Latin America such as the classic Venezuelan "Niño Lindo" and "La Peregrinación" of Argentine folklore. NEW YORK, Dec. 5 /PRNewswire/ -- Geffen Records superstar andhit-making songwriter Mary J. Blige, is set to follow-up the mostsuccessful album of her career, the triple platinum "The Breakthrough,"with her eighth (8th) studio CD "Growing Pains" on Tuesday, December 18th,one week before Christmas. "Growing Pains" includes her top ten single "Just Fine" which hasbecome an instant favorite on radio enjoyed by over 20 million listeners. "Just Fine" is in heavy rotation on MTV, BET and VH-1, and Mary recentlyshot the video for her second single, "Work That," which is currentlyfeatured in an Apple iPod commercial. After selling over 40 million CDs and garnering six Grammy Awardsduring her phenomenal 15-year career, Mary is confident that her fans willnot be disappointed with "Growing Pains." "They're going to get a sense ofwhat my state of mind is and how I view the world," she says. "Andhopefully, most of all, they're going to hear just the sincere honesty andlove that I have for them." She adds, "'Growing Pains' represents acceptingthat there's pain that goes along with growing and change. No pain, nogain." "Growing Pains," with Mary co-writing most of the songs on the album,features guest appearances by Ludacris and Usher and production by TheNeptunes, Jazze Pha, Johnta Austin, Neyo, Stargate, Bryan-Michael Cox, Dreand Vidal, Tricky, Dream, and Sean Garrett. Mary makes her message loud, clear and seriously funky on the firstrelease "Just Fine" produced by Jazze Pha and Tricky and co-written by Maryand Dream. A celebration of life, "Just Fine" gives you Mary fierce, and asthe video shows, glamorous. The song's vibe? "Sometimes it feels likeyou're having this miserable time, like all 365 days of the year are tough.But then, you get one of those days; maybe when your hair is great, oryou're not stuck in traffic; where it's a 'just fine' day. At some point,"Mary laughs, "You've got have one or two of those." The party and positivity keeps on keeping on with the rump shakingsecond single "Work That." Mary comments, "When I meet a woman who doesn'tknow what to do about her weight or her hair I always say -- 'whatever itis that you have, make that work for you, Work what you got.'" After releasing her bestselling anthology "Reflections" last year,"Growing Pains" is Mary's first CD of new material since "The Breakthrough"debuted at #1 in 2005, selling over 700,000 copies its first week -- thebest opening week for a solo R&B female artist in SoundScan history. Thealbum's first single, "Be Without You," also made chart history by holdingdown the #1 spot on the Billboard R&B charts for a record breaking 16straight weeks; making it the longest-running No. 1 song on the R&B chartin over 40 years. Mary led all artists with eight 2007 Grammy nominationsfor the landmark album, and she took home honors for Best Female R&B VocalPerformance, Best R&B Song (both for "Be Without You"), and Best R&B Album.After earning three Grammy Awards, she continued her award show dominationby winning nine Billboard Music Awards, two American Music Awards, two BETAwards, two NAACP Image Awards, and a Soul Train Award. "The Breakthrough"lived up to its name selling over seven million copies worldwide. You can witness the incredible magic of Mary J. Blige on televisionthis week as she performs on "CNN Heroes: All All-Star Tribute" on December6th and "Movies Rock!" on CBS on December 7th (both at 9 PM Eastern time).Mary will also bring in 2008 on New Year's Eve on MTV. Paul Hardcastle’s next release Hardcastle 5 can now be pre-ordered at www.trippinrecords.com The site also allows you to preview the first single to be released to radio “Your Smile”. The label is offering the CD at $9.99 while supplies last. Rafe Gomez will bring his Groove Boutique to The Key Club on Tuesday, December 31 from 6PM to 3AM. You can also expect a performance by The Mix Band featuring Ambrosia. The Key Club is located at 58 Park Place, Newark, New Jersey. Go to www.keyclubnj.com for more information. Giant Step Records is hosting their annual holiday party on December 12 at BLVD. The party will feature an incredible lineup of DJs, including Mr. Scruff, Turntables on the Hudson, Moni, Tyler Askew, DJ Center and Dhundee, plus live performances by Taylor McFerrin, Tiombe Lockhart, Jose James. There will be an open bar with Stolichnaya Vodka from 9PM to 11PM. BLVD is at 199 Bowery in New York City. LOS ANGELES, CA--(Marketwire - December 7, 2007) - BETTYE LaVETTE continues her bold ascent with a GRAMMY nomination for Best Contemporary Blues Album for her CD "THE SCENE OF THE CRIME" (Anti- Records). Joined by the Drive-By Truckers as her backing band, BETTYE's essential new entry into the soul music canon channels more than 40 years of blood, sweat, and shattered dreams into one glorious catharsis. It was 35 years ago in Muscle Shoals -- a decade after she scored a top-ten hit with her debut single "My Man - He's A Lovin' Man" -- that BETTYE recorded the career-defining masterpiece that never was: Atlantic Records inexplicably shelved the record. Scarred but not broken, BETTYE persevered as a tireless performer, honing her craft and focusing her heartbreak. "LaVette's nuanced singing evokes prime Tina Turner with even more command," says Rolling Stone. Adds USA Today, "This album...just rips, with some truly sublime peaks. 'The Scene of the Crime' is a smoldering revelation displaying an artist nearly a half century into her career who is only now approaching the peak of her considerable powers," notes Paste. And the All Music Guide: "It gets better with each listen, and stands so far outside the realm of anything her better-known peers are doing today that it's almost scary." SANTA MONICA, Calif. (Dec. 6, 2007) — Nominations for the 50th Annual GRAMMY® Awards were announced today by The Recording Academy® reflecting one of the most diverse years ever with the Album Of The Year category alone representing the country, hip-hop, jazz, pop and rock genres. The press event was held at The Music Box @ Fonda in Hollywood and was attended by national and international media, as well as key music industry executives. Artists reading nominations this morning included Akon, Chester Bennington (of Linkin Park), Fergie, Vince Gill, Dave Grohl (Foo Fighters) Herbie Hancock, Jimmy Jam, Taylor Hawkins (Foo Fighters), George Lopez, Mike Shinoda (of Linkin Park) and Taylor Swift. The 50th Annual GRAMMY Awards will be held on "GRAMMY Sunday," Feb. 10, 2008, at STAPLES Center in Los Angeles and once again will be broadcast live in high definition TV and 5.1 surround sound on CBS from 8 – 11:30 p.m. (ET/PT). Kanye West tops the nominations with eight, Amy Winehouse garners six, and the Foo Fighters, Jay-Z, Timbaland, Justin Timberlake, and T-Pain each earn five nods. Akon, Dierks Bentley, Chris Daughtry, Feist, Tim McGraw, John Newton, Ne-Yo, Rihanna, and Bruce Springsteen receive four each. "This year's nominations truly reflect a diverse and talented community of artists and creators who represent some of the most exceptional music of the year," said Neil Portnow, President/CEO of The Recording Academy. "The GRAMMY Awards process once again has yielded a comprehensive group of excellent nominees and coupled with the fact that it's our milestone 50th year, this year's telecast promises music fans a spectacular show filled with stellar performances and unique 'GRAMMY Moments' for which Music's Biggest Night™ has come to be renowned." T.I. vs T.I.P. — T.I. In the newly added Best Zydeco Or Cajun Music Album category, nominations go to: Le Cowboy Creole (Geno Delafose & French Rockin' Boogie), King Cake (Lisa Haley), Live: Á La Blue Moon (Lost Bayou Ramblers), Blues De Musicien (Pine Leaf Boys), Racines (Racines), The La Louisianne Sessions (Roddie Romero And The Hub City All-Stars), and Live! Worldwide (Terrance Simien & The Zydeco Experience). In the Latin Field, Best Latin Rock, Alternative Or Urban Album has now been split into two categories. Nominations for Best Latin Rock Or Alternative Album are: No Hay Espacio (Black:Guayaba), Adelantando (Jarabe De Palo), Amantes Sunt Amentes (Panda), Kamikaze (Rabanes), Memo Rex Commander Y El Corazón Atómico De La Via Láctea (Zoé). For Best Latin Urban Album, nods go to: E.S.L. (Akwid), El Abayarde Contra-Ataca (Tego Calderón), Residente O Visitante (Calle 13), El Cartel: The Big Boss (Daddy Yankee), and Vacaneria! (Fulanito). GRAMMY ballots for the final round of voting will be mailed on Dec. 12 to the voting members of The Recording Academy. They are due back to the accounting firm of Deloitte by Jan. 9, 2008, when they will be tabulated and the results kept secret until the telecast. The 50th Annual GRAMMY Awards are produced by John Cossette Productions and AEG Ehrlich Ventures for The Recording Academy. Ken Ehrlich and John Cossette are executive producers, Walter C. Miller is producer/director, Tisha Fein is the coordinating producer, and Tzvi Small is supervising producer. RCA recording artists Foo Fighters and their album Echoes, Silence, Patience & Grace earned a total of five nominations -- including Album of the Year and Best Rock Album -- at the 50th annual Grammy Awards announcements today in Los Angeles. The Foo Fighters track "The Pretender" is nominated for Record of the Year, Best Hard Rock Performance, and Best Rock Song. To date, Foo Fighters have earned four Grammy Awards including two for Best Rock Album for There Is Nothing Left To Lose (2000) and One By One (2003). 19 Recordings/RCA Records group Daughtry and earned four Grammy Award nominations. Daughtry's self-titled No. 1 album (certified 3X platinum) is nominated for Best Rock Album, with the track "Home" nominated for Best Pop Performance By A Duo Or Group with Vocals and the track "It's Not Over" nominated for Best Rock Performance By A Duo Or Group with Vocal and Best Rock Song. Carrie Underwood's hit single "Before He Cheats," a track from the 6X platinum album Some Hearts, is nominated for Best Female Country Vocal Performance and for two songwriter awards, Song of the Year and Best Country Song. Carrie, who is already a 4x Grammy winner, is also nominated for Best Country Collaboration with Vocals for the track "Oh Love," performed with Brad Paisley on his album 5th Gear. the category of Best Pop Collaboration With Vocal for their duet on "Steppin' Out With My Baby" from the album Tony Bennett: An American Classic. nominated for Best Song Written For Motion Picture, Tele­vision Or Other Visual Media. Winehouse and the track "Littlest Things" by Lily Allen. - Aretha Franklin -- Best Gospel Performance for "Never Gonna Break My Faith" with Mary J. Blige, from the original soundtrack album Bobby. - Kelly Clarkson -- Best Country Collaboration With Vocals for "Because of You" (co-written by Kelly Clarkson) with Reba McEntire, from her album Reba Duets. - Christina Aguilera -- Best Pop Collaboration With Vocal for "Steppin' Out With My Baby" with Tony Bennett, from his album Tony Bennett: An American Classic. - Carrie Underwood -- Best Country Collaboration With Vocals for "Oh Love" with Brad Paisley, from his album 5th Gear. - Arista recording artist Jennifer Hudson, whose incredible performance contributed to the nomination of "Love You I Do" (composed by Siedah Garrett & Henry Krieger) as Best Song Written For Motion Picture, Television Or Other Visual Media, and to the nomination of the Dreamgirls soundtrack for Best Compilation Soundtrack Album For Motion Picture, Television Or Other Visual Media. - Howard Benson, nominated for Producer Of The Year, Non-Classical for his work on Daughtry among other recordings. The 50th annual Grammy Awards will be broadcast live from the Staples Center in Los Angeles on the CBS network beginning at 8:00 pm (ET) on Sunday, February 10, 2008. New Releases for 2008 include: Paul Hardcastle (Hardcastle 5); Jessy J (Tequila Moon); Gerard Veasley (Your Move); Lee Ritenour/Dave Grusin (Collaboration); Jaared (Addiction); Alexander O’Neal (Love Songs); plus other releases from Marion Meadows, and Michael Lington. Saxophonist Eric Marienthal has just released Just Around The Corner via Peak Records. This new release pairs teams him with Brian Culbertson, who produced and co-wrote material for Marienthal's 11th solo disk. The first single, "Blue Water," is a Marienthal-Culbertson composition. Other songwriting contributions on the album are from Jeff Lorber, Paul Brown, Stephen Lu. Musicians include drummer Dave Weckl, guitarists Ray Parker Jr., and veteran guitarist Michael O'Neill, among others. Narada Michael Walden is presenting The Spirit of Giving Concert In Tribute to Singer & Songwriter Angela Bofill at Grace Cathedral, Dec. 8. Carlos Santana, Bonnie Raitt, Bonnie Hayes and other area musicians perform in support of the jazz-pop- R&B songstress. Music industry extraordinaire and Marin County resident Narada Michael Walden has rallied his colleagues and friends, including Carlos Santana, to perform at The Spirit of Giving concert, in tribute to singer, songwriter and Bammy-award winner Angela Bofill. When: Sat., Dec. 8, 8:30 p.m. Ticket Purchase: http://www.ticketweb.com/ or 866-468-3399 (toll-free). Tickets go on sale on Nov. 1. DETAILS: On Sat., Dec. 8, award-winning and platinum-selling music producer, musician and songwriter Narada Michael Walden will present The Spirit of Giving, a concert featuring a number of his friends and colleagues, including Carlos Santana, as members of the music community will perform in tribute to singer and songwriter Angela Bofill. · - R&B and dance hit singer Jeanie Tracy ( http://www.jeanietracy.com/), who once was one of Sylvester's back-up singers along with Martha Wash.
Marin County-based Walden has produced countless number-one hits with legendary artists such as Aretha Franklin, Al Jarreau, and Whitney Houston. He is credited with launching the careers of Houston and Mariah Carey, and the list of his collaborators reads like a Who's Who of popular music - Sting, Al Green, Ray Charles, Diana Ross, Steve Winwood, Clarence Clemons and Weather Report. He also produced soundtracks for popular films including: The Bodyguard, Free Willy, and 9 ½ Weeks. Carlos Santana is a music legend almost without peer. He has 18 gold, platinum and multi-platinum records spanning his nearly 40-year career. He has recorded with his band since 1968, and in collaboration with, among other music luminaries, Herbie Hancock, Wayne Shorter, Rob Thomas of the band matchbox 20, Eric Clapton and Lauryn Hill. Bofill scored several dance hits in the 1970s and 80s, such as Angel of the Night, in 1978 and 1983's Too Tough, but has recently suffered significant health setbacks. Walden and Bofill have worked together for more than 25 years - Arista Records' then-chief Clive Davis teamed Bofill with Walden in 1981 to produce her first commercial jazz-pop-R&B crossover recording, Something About You. Walden produced her next two recordings, 1983's Teaser and Too Tough. Warner Music Group Corp. (NYSE: WMG) and the family of Frank Sinatra announced today that they have established a worldwide partnership to integrate content, rights management and the preservation of the legendary entertainer's inspirational personality and prodigious body of work under a single entity. The partnership will operate under the name Frank Sinatra Enterprises (FSE) and will manage all aspects of Sinatra's artistic contribution to music, film and stage. FSE will also administer all licenses for the use of Sinatra's name and likeness. FSE will own Sinatra's recordings from the Reprise era as well as a treasure trove of films, television specials and unreleased footage, photos and audio recordings, which collectively represent one of the foremost bodies of artistic work of the modern era. FSE will also own and manage Sinatra's name and likeness rights and will represent the artist's rights to the Columbia and Capitol catalogues. The Frank Sinatra Foundation, a not-for-profit 501(c)(3) organization will continue under the family's aegis. FSE intends to pursue innovative new product and venture opportunities with respect to the legendary entertainer's name and likeness, as well as for the audio and visual content, which it will administer. "Because it was most important to our family to preserve and honor his legacy, we were extremely selective in choosing a partner with whom to manage our father's life work. It was a process that took several years," stated the Sinatra family, represented by Nancy, Tina and Frank Sinatra, Jr. "Our father founded Reprise Records almost 50 years ago; we have worked with Warner Music Group for many years, and we are thrilled to continue the journey with them and the new company into the future." "Frank Sinatra created one of the most enduring and influential bodies of work the world has ever experienced and we consider it a great privilege that his family has decided to significantly expand and enhance our relationship," said Edgar Bronfman, Jr., Chairman and CEO of Warner Music Group. "Over the past several years WMG has transformed itself from a traditional music company to an organization that can manage virtually every facet of an artist's brand or career. So it is a particular honor that through this joint venture we'll be able to manage, with the Sinatra family, the legacy of not only one of our greatest artists, but as founder of Reprise Records, one of the creative cornerstones of our company." "Frank Sinatra is an icon known the world over. We are extremely honored to continue working with the Sinatra family to preserve and expand his rich legacy," says Scott Pascucci, president of Warner Music Group's Rhino Entertainment. Representatives from the Sinatra family and Warner Music Group will jointly manage FSE, with day-to-day operations being handled by Rhino executives Jimmy Edwards and Gregg Goldman along with Sinatra archivist/producer Charles Pignone, who will report to co-chairs Scott Pascucci and Robert A. Finkelstein. Additionally, Tina Sinatra and Edgar Bronfman, Jr. will sit on the Board of Directors. One of the most important pop culture figures of the 20th century, Frank Sinatra's career spanned many disciplines. As a recording artist, actor, cabaret and concert star, radio, film and television personality, and occasional producer, director and conductor, Frank Sinatra's achievements earned him three Oscars, two Golden Globes, 10 personal Grammys (and a total of 21 including those for his albums), an Emmy, a Cecile B. DeMille Award, and a Peabody. One of the most prestigious awards Sinatra received was the Jean Hersholt Humanitarian Award by the Motion Picture Society of America. This award, presented only a few times in the Academy's history, is given to an "individual in the motion picture industry whose humanitarian efforts have brought credit to the industry." Sinatra's charitable legacy is legendary. His pioneering fight against prejudice is one of the important facets that shaped his life from childhood on the streets of Hoboken, New Jersey. His short film, "The House I Live In" received a special Oscar in 1945. Throughout his 60-year career, "Ol' Blue Eyes" demonstrated a remarkable ability to thrive in changing times, moving deftly from the swing era to the rock-and-roll era. He performed on more than 1,400 recordings, was awarded 31 gold, nine platinum, three double platinum and one triple platinum album by the Recording Industry Association of America. He also appeared in 58 films, and produced eight motion pictures. Frank Sinatra was awarded Lifetime Achievement Awards from the Grammys, The Screen Actors Guild, The Kennedy Center and the National Association for the Advancement of Colored People (NAACP), as well as the Presidential Medal of Freedom and the Congressional Gold Medal, and remains a legend and inspiration to thousands for his contributions to culture and the arts. FSE was represented by the law firm of Proskauer Rose LLP and The Salter Group. WMG was represented by the law firm of Gibson, Dunn and Crutcher. Warner Music Group became the only stand-alone music company to be publicly traded in the United States in May 2005. With its broad roster of new stars and legendary artists, Warner Music Group is home to a collection of the best-known record labels in the music industry including Asylum, Atlantic, Bad Boy, Cordless, East West, Elektra, Lava, Nonesuch, Reprise, Rhino, Roadrunner, Rykodisc, Sire, Warner Bros. and Word. Warner Music International, a leading company in national and international repertoire, operates through numerous international affiliates and licensees in more than 50 countries. Warner Music Group also includes Warner/Chappell Music, one of the world's leading music publishers, with a catalog of more than one million copyrights worldwide. Michael McDonald is busy as he continues to perform dates around the country this fall. The popular vocalist is currently working on the follow-up to his top selling classics collections, 2004's Motown and 2005's Motown Two. McDonald currently appears on the new album by Chaka Khan, titled Funk This! on a duet of his composition "You Belong To Me." The tune is among the most-played new singles at smooth jazz radio. His most recent CD release was actually the 2005 holiday set Through The Many Winters, which was available exclusively through Hallmark stores. Smooth Jazz guitarist Jeff Golub recently hit the number one spot on the smooth jazz airplay charts with his version of "Ain't No Woman (Like The One I've Got)" featuring saxophonist Richard Elliot. The tune is from Golub's CD new CD, Grand Central. The song, "Ain't No Woman" was originally a hit for Motown group The Four Tops in 1972. Columbia Records has just released "August Rush - Music From The Motion Picture," the soundtrack album from the widely-anticipated Warner Bros. Pictures film. "August Rush – Music From The Motion Picture" is available online and in stores now. musical score composed by Mark Mancina. "August Rush," in theaters November 21, tells the story of a charismatic young Irish guitarist (Jonathan Rhys Meyers) and a sheltered young cellist (Keri Russell) who have a chance encounter one magical night above New York's Washington Square but are torn apart, leaving in their wake an infant, August, orphaned by circumstance. Now performing on the streets of New York and cared for by a mysterious stranger (Robin Williams), August (Freddie Highmore) uses his remarkable musical talent to seek the parents from whom he was separated at birth. The film, which also stars Terrence Howard, is directed by Kirsten Sheridan and produced by Richard Barton Lewis from a screenplay by Nick Castle and James V. Hart, story by Paul Castro and Nick Castle. "August Rush - Music From The Motion Picture"
Rafe Gomez brings the sound of the groove boutique to The Key Club in Newark, New Jersey. He’ll spin his mixes every Wednesday from 6 to 9PM beginning on December 5. The Key Club is at 58 Park Place in Newark. The 2008 Air Jamaica Jazz & Blues Festival will feature performances by Jill Scott, Anita Baker, Diana Ross, Billy Ocean, Hugh Masakela, Beres Hammond. The three-day music festival runs from January 24-26, 2008 in Montego Bay and it is being billed as the “Caribbean’s biggest party.” The event will celebrate its 22nd year and is expected to attract over 40,000 music fans from all over the world. Tom Scott has recently recorded a new album for the Concord label that pays tribute to the late saxophone player Julian "Cannonball" Adderley. Special guests on the CD include Terence Blanchard, George Duke, Marcus Miller, Steve Gadd, and Nancy Wilson. The still-untitled CD is due to be released in January 2008. Scott included an Adderley tune as well as tunes by Wayne Shorter, Chick Corea, and Michel Legrand on his 2006 straight ahead jazz outing, Bebop United. Ziggy Marley announces the re-release of his Grammy-winning album Love Is My Religion, including three bonus tracks as well as an independent distribution deal. In a bold move, Marley is eschewing the traditional record industry formula and big name labels, instead penning a distribution deal between Tuff Gong Worldwide and Ryko Distribution. Love Is My Religion was originally released in the US exclusively at Target Stores and is now scheduled for wide distribution on December 4, 2007, with additional material including live recordings of Jammin, Dragonfly, and Look Who's Dancin'. These live tracks, plus the highly-anticipated live DVD (scheduled for early 2008 release), were recorded at Los Angeles' Avalon during the 2006 Love Is My Religion world tour. Pushing the envelope is an inborn trait for Ziggy Marley. He comes by it honestly. He has remained true to the independent nature instilled inhim by his legendary father, establishing himself in recent years as a solo artist and producing his first independently-released projects on the Tuff Gong Worldwide label. Firmly instituted as a solo artist, he has now set his sights on yet another quest. Tuff Gong was first founded in 1965 by Bob Marley, with the vision of producing, distributing, and promoting his music free from the constraints of corporate label politics. In a time decades before artist-owned record labels were commonplace, Marley's vision was characteristically well ahead of it's time. Now, nearly half a century later, his dream is being realized. Ziggy released his first solo effort, Dragonfly, in 2003. The album included guest artists from the Red Hot Chili Peppers and Incubus. His second solo album, Love is My Religion, was released in July of 2006 and garnered Marley his first solo Grammy Award for Best Reggae Album, giving him a total of four Grammys. Love soared to #6 on the Billboard Reggae charts. Love showcases Ziggy's keenly honed talents as a composer, producer, and musician, with all tracks written and produced by Ziggy, and shared production on three tracks with Grammy-winning producer Ross Hogarth. Marley also played a majority of the instruments on the album. Born in Trench Town, Jamaica, Ziggy Marley was surrounded by the sights and sounds of the Jamaican recording industry. First accompanying his father in the studio at a tender age, he soon joined with his siblings to form The Melody Makers. The act enjoyed two decades of successful touring and recording, netting three Grammy Awards and worldwide notoriety. Ziggy has contributed to a variety of soundtracks including 50 First Dates, Dora the Explorer, the PBS children's show Arthur, and Shark's Tale, in which he delved into acting for the first time, playing the character of Bernie, the Jamaican jellyfish. In addition to his skills as a singer, songwriter and producer, Ziggy founded U.R.G.E. (Unlimited Resources Giving Enlightenment), a non-profit organization that benefits a wide range of charitable children's causes in Jamaica, Ethiopia and other developing nations. More recently he has lent his support to the Youth AIDS campaign. More information about Ziggy is available at http://www.ziggymarley.com. Bobby Caldwell is gearing up for a tour of Japan during the month of December with a string of performance scheduled for various Billboard Live venues. Next year, Caldwell teams with Joyce Cooling for a special performance at the Celebrity Theatre in Phoenix, Arizona. David Sanborn is in the studio working on his next CD project. On his website, the influential jazz player says he has gone into the studio with veteran Phil Ramone, who has worked with Elton John, Tony Bennett, Johnny Mathis, Dave Koz, Barbra Streisand, Chicago, and dozens more. Sanborn's last studio release was 2005's Closer, which was produced by Stewart Levine. Sanborn recently wrapped a series of dates in Washington, D.C at Blues Alley on November 14th and 15th. Dave Koz and his friends are in rehearsal as we speak, busily preparing for their 10th Annual Smooth Jazz Christmas Show. Along for the ride this year are Jonathan Butler, Wayman Tisdale and American Idol’s Kimberley Locke take to the stage. Here is the full schedule for the Dave Koz Annual Smooth Jazz Christmas Show. Kenny “Babyface” Edmonds will return to the road for his first U.S. tour date schedule in years this fall, in support of PLAYLIST. His newest album is the first release on the newly re-launched Mercury Records label, and feat­ur­es his new Top 10 version of James Taylor’s “Fire & Rain.” The U.S. tour has just been expanded to a dozen cities, opening Friday, November 23rd at The Paramount Theater in Oakland, CA, and running to December 14th at Chrysler Hall in Norfolk, VA. Kenny's special guest is Ayo, the critically-acclaimed, International platinum soul singer/songwriter whose U.S. debut CD will be released on Interscope Records on November 20th. Her PBS special, "Live From Monte Carlo", will air in December. PLAYLIST is the first Kenny “Babyface” Edmonds album devoted (mostly) to cover versions of some of his favorite songs. Building on the success of “Fire & Rain” at the AC and Smooth Jazz radio formats, Edmonds’ original “Not Going Nowhere” recently moved inside the Top 40 at Urban AC. In addition to another original song, “The Soldier Song,” an evocative elegy in this time of war, PLAYLIST contains definitive new versions of songs from Bob Dylan (“Knockin’ On Heaven’s Door”), Dan Fogelberg (“Longer”), James Taylor (“Shower The People”), Eric Clapton (“Wonderful Tonight”), Bread (“Diary”), Jim Croce (“Time In A Bottle”), and Dave Loggins (“Please Come To Boston”). As momentum for PLAYLIST continues, Kenny “Babyface” Edmonds has maintained a high profile on TV and in the media. Television performances have included: The Oprah Winfrey Show, The Today Show, Live with Regis & Kelly, CMT Crossroads Concert Special featuring Trisha Yearwood, Ellen, and The Tyra Banks Show. Upcoming appearances include: The Tavis Smiley Show, The Late Late Show with Craig Ferguson and Late Night with Conan O’Brien. Trippin 'N' Rhythm Records is pleased to announce the recent acquisition of bass player to the stars ''Sekou Bunch''. Bunch's trippin debut "The Next Level" bows late 1st quarter '08 and is an absolute who's who in Smooth jazz/ urban radio, and features stand out performances by Stanley Clarke, Boney James, George Duke, Angela Winbush, Everette Harp and Sheila E.
Say's label CEO / President Les Cutmore," having recently trimmed some fat from our roster, has enabled us to secure this truly amazing talent. The incredible success we have had recently with U-Nam and Oli Silk, further confirms to us that this is the direction that we need to be headed as a record company by continuing to bring new and exciting artist's into the fold. Sekou may not be new in terms of what he has accomplished in the business as a first call session and touring player, but as he finally takes hold of the reigns as a leader, this top shelf, A game player/performer will bring a new sense of excitement to our label and to radio as well". Bunch's resume sounds like the VIP list for an Grammy after party, having shared the stage and or recording studio with Quincy Jones, Rod Stewart, Stevie Wonder, Roger Daltry, Whitney Houston, Madonna, Michael Jackson, Luther Vandross, Anita Baker, Ray Charles, Chaka Khan, George Benson, Wayne Shorter, George Howard, Tom Browne, Lionel Richie, the Tonight Show Band .Phew.. to name just a few. "SATISFIED", the highly anticipatedalbum from recording artist TAYLOR DAYNE, is set for release on February5th, 2008. Dayne's fifth studio album and first effort in ten years,"SATISFIED" delivers a powerful selection of 13 songs from acclaimed writers and producers including Rick Nowels, Billy Steinberg, Mike Mangini, Peter Wade, and Richie Jones, among others. With "SATISFIED", Dayne is poised to triumphantly return to the forefront of popular music. Dayne is no stranger to success. Known worldwide for her premier vocals and hit recordings, she has sold over 75 million albums and singles worldwide and has had ten Top 10 hits including "Tell It To My Heart" and"Love Will Lead You Back," three Grammy nominations, and two sold-out worldtours. On "SATISFIED", Dayne has opted to leave the major labels behind and make her own way by releasing her newest offering on her own label, Intention Music, distributed by Adrenaline/ADA, Warner Music. "This is an exciting time musically for me," says Dayne. "And this record reflects that. It was great to have the opportunity to be creative and make some magic with some of the producers and writers I have admired over the years. This record has been a long time coming." "Beautiful", the first single from the disc, will hit radio in November 2007 and will be available for download everywhere on December 11, 2007. The song is co-written by Dayne, who also co-writes three additional songs on the album, and is the perfect introduction to "SATISFIED". As the holidays approach, eMusic hits a new level of critical mass: today, the world's largest retailer of independent music -- and the world's second-largest digital music service after iTunes -- announces that it has surpassed 350,000 paid subscribers and that its catalogue totals more than three million tracks. Since establishing the current subscription model in 2003, eMusic has sold more than 165 million music downloads and, in the last 50 days alone, approximately 25,000 digital audiobooks. The 350,000 subscriber benchmark comes only six months since eMusic reached 300,000 subscribers in April. And, with more than three million tracks from more than 20,000 labels, eMusic's offers the largest catalogue of independent music ever assembled. eMusic customers include conventional web-based subscribers and subscribers to eMusic Mobile, eMusic's over-the-air download service with AT&T, which is now available on 14 mobile phones. eMusic's rich catalogue of independent music continues to grow with new label and distributor signings, as well as new labels added through existing agreements. New titles from every musical genre -- including jazz, classical, r&b, metal, electronic and more -- arrive on a weekly basis. "We are elated to be hitting our stride just as our busiest time of year -- the holiday season -- kicks into high gear," said David Pakman, President and CEO of eMusic. "While other subscription services have lost customers, these milestones demonstrate eMusic's momentum as we simultaneously grow our catalogue and our customer base and add new methods of distribution and product lines. Sophisticated consumers of music and literature know that eMusic is the place to discover entertainment that will move their feet and feed their minds. We have never been more excited about our business and our customers' response to it." eMusic (www.emusic.com) is a digital entertainment retailer focused on serving customers aged 25+ by offering independent music and audiobooks in a universally compatible format at a great value. It is the world's largest retailer of independent music and the world's second-largest digital music service after iTunes, with more than three million tracks from 20,000 of the world's leading independent labels and over 1,000 titles from top audiobook publishers. To super-serve its customers, eMusic provides award-winning editorial content, a vibrant online community and unrivaled music discovery tools. eMusic's subscription-based service offers 25 free downloads and one free book at sign-up, giving consumers an inexpensive, low-risk way to explore great new music and books they wouldn't find otherwise. Its universally compatible MP3 files play on any audio device including the iPod®. Based in New York with an office in London, eMusic.com Inc. is wholly owned by Dimensional Associates, Inc., the private equity arm of JDS Capital Management, Inc.
R&B singer, Jaheim, is the latest artist to join Atlantic Records' roster. The singer's first piece of business will be to release his highly anticipated next album, but before that, he's already leaked his first single, "Never," which is getting a warm reception at radio. Jaheim's as-yet-untitled new album will see the New Brunswick, New Jersey-born singer joining forces with a variety of artists including KayGee (Naughty By Nature, Zhane), and R. Kelly, among others. Among its expected highlights will be a duet with Keyshia Cole, as well as a tribute to Jaheim’s hero, Luther Vandross, recorded with the dearly departed soulman's former producer, Nat Adderley Jr.In addition to the new album, Jaheim can be heard on Atlantic's soundtrack to the new film, Tyler Perry's "Why Did I Get Married?" He is featured on "DJ Don’t (Remix)," alongside the late, great R&B legend, Gerald Levert. It's in stores now. Jaheim burst onto the scene with 2001's acclaimed Ghetto Love. Fueled by the breakthrough singles, "Could It Be" and "Just In Case," the album reached the Billboard 200's top 10 on its way to earning RIAA platinum for sales exceeding 1 million.After the album, he was honored with a number of award nominations, including the Soul Train Music Award for Best R&B/Soul Single (for "Just In Case"), and the BET Awards for 'Best Male R&B Artist. He went on to release his sophomore album, Still Ghetto, in 2004, which was also a commercial and critical success, then ended this Ghetto trilogy with Ghetto Classics in 2006. Multi-million selling, legendary recording artist Carlos Santana's new career-spanning album ULTIMATE SANTANA debuts at #8 on the Billboard chart with 56,475 albums sold, according to Nielsen SoundScan. This is Santana's third Top 10 debut and #11th Top 10 album. Having sold over 90 million albums worldwide, the entire scope of Santana's history is presented together on one volume for the first time ever. ULTIMATE SANTANA, a celebration of an artist and his music, is highlighted by three brand new, previously unreleased collaborative tracks with Chad Kroeger, Tina Turner, and Jennifer Lopez featuring rapper Baby Bash. up 58% this week, and is Santana's highest ranking track ever on the chart. Va," "Black Magic Woman," "Evil Ways," to name a few), alongside groundbreaking collaborations like "Smooth" with Rob Thomas, "Maria Maria" with Product G&B, and "The Game of Love" with Michelle Branch, among others, that highlighted their three consecutive blockbuster Arista albums: Supernatural (1999), Shaman (2002), and All That I Am (2005).